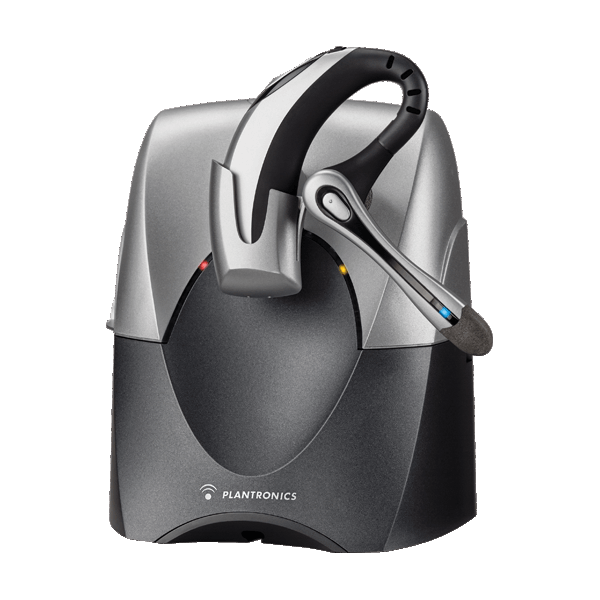 Enjoy wireless freedom in the office or on the go with the all-day wearing comfort and superior sound quality of the Plantronics® VoyagerTM 510S Bluetooth® Headset System. Wireless freedom and unparalleled versatility, in the office and on the go. 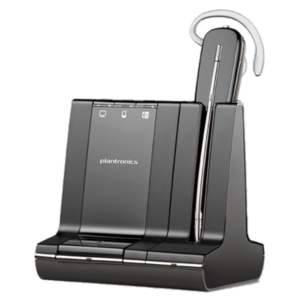 The Plantronics Voyager 510S Bluetooth Office Headset System—combining both the wireless Voyager 510 Bluetooth Headset and Bluetooth Deskphone Adapter—allows you to seamlessly switch between your office phone and Bluetooth mobile phone. 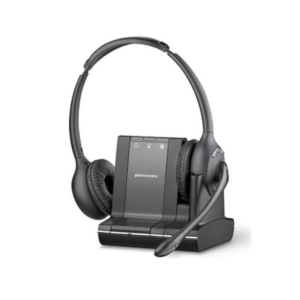 Whether in your office or on the go, this system’s versatility eliminates the need for multiple products—one headset does it all! Versatile headset. 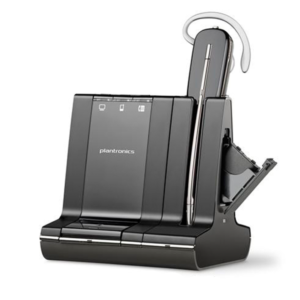 Supports Bluetooth headset and hands free profiles while deskphone adapter turns your office phone into a Bluetooth phone. Switch between devices. “Smart” technology knows which device you are using—and allows you to take calls from either device at the touch of a button. Converse in comfort. Lightweight, award-winning headset design for all-day wearing comfort. Unmatched versatility. 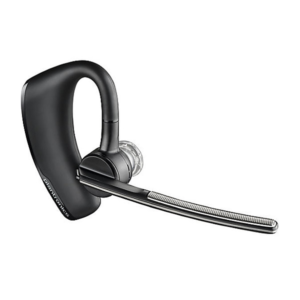 Multipoint technology allows seamless switching between your office phone and your voice-enabled Bluetooth mobile phone, PDA or laptop. Be heard clearly. 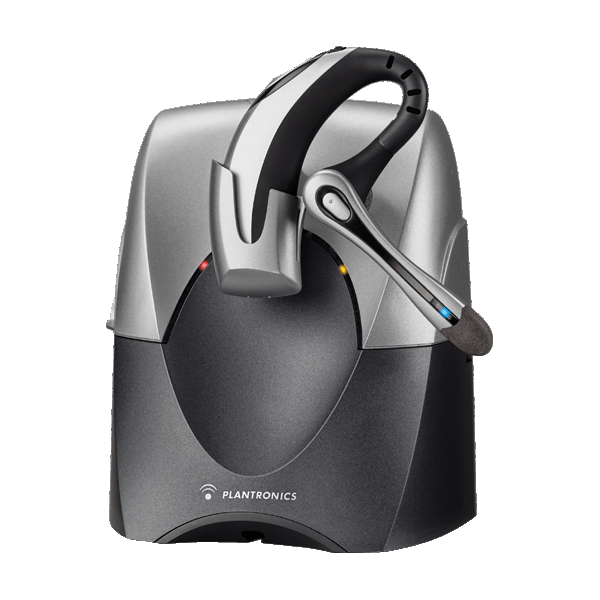 Noise-canceling microphone with WindSmart wind noise-reduction technology for optimal sound clarity. All day availability. Battery supports up to 6 hours of talk time and up to 100 hours of standby, with freedom to roam up to 33 feet (10 meters) from your Bluetooth device.